Former W6SFM Member and CW Beginners Class student, Jennifer Hughes, NS3O. went SK on 9/2016. 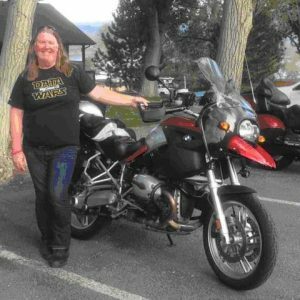 Jennifer took pride in riding her motorcycle and was a participant of the 3 Flags Classic (motorcycle ride). A Mexico to Canada ride that she had done in the past and always enjoyed. Jennifer is also the first person to join our club using her iPad while at one of our meetings visiting as a guest. Jennifer was also a member of the River City ARCS, N6NA club, ARES and SHARP. She will be missed.